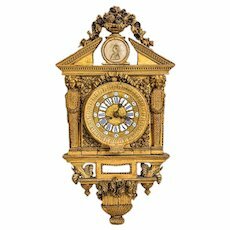 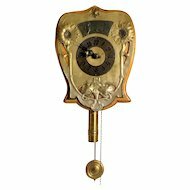 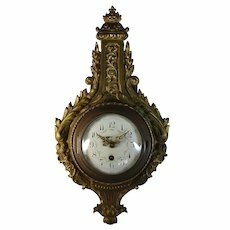 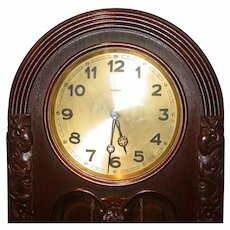 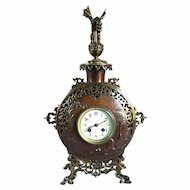 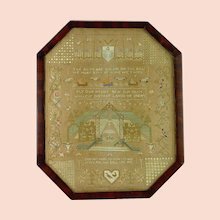 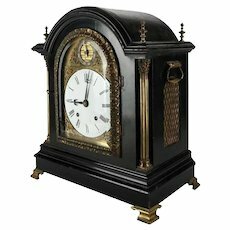 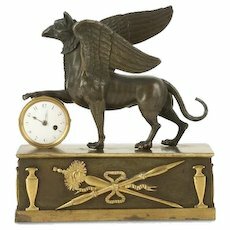 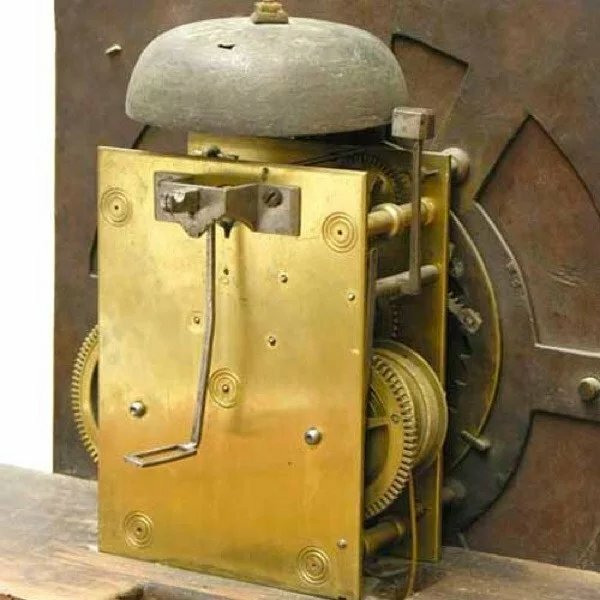 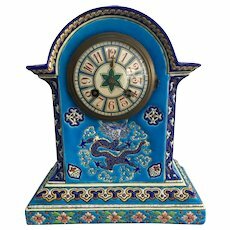 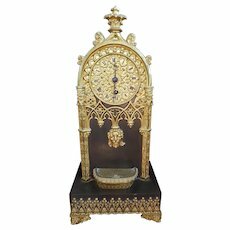 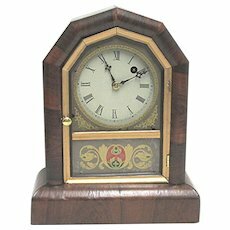 French Boulle Bracket Clock Decorated With Gilded Bronze Second alf of 19th century Total Height 79CM. 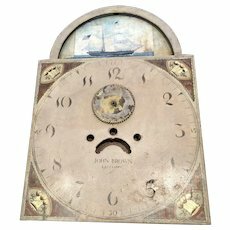 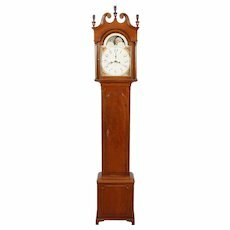 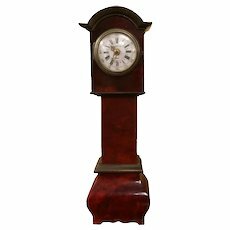 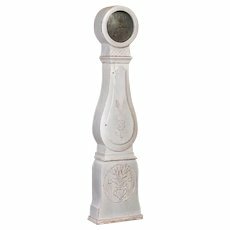 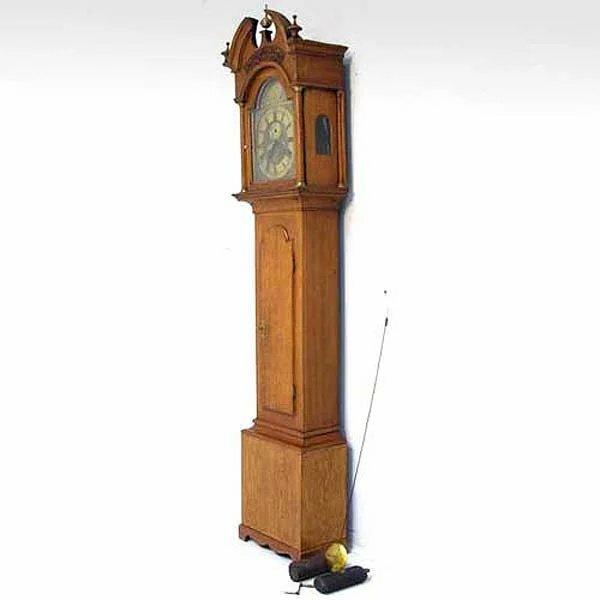 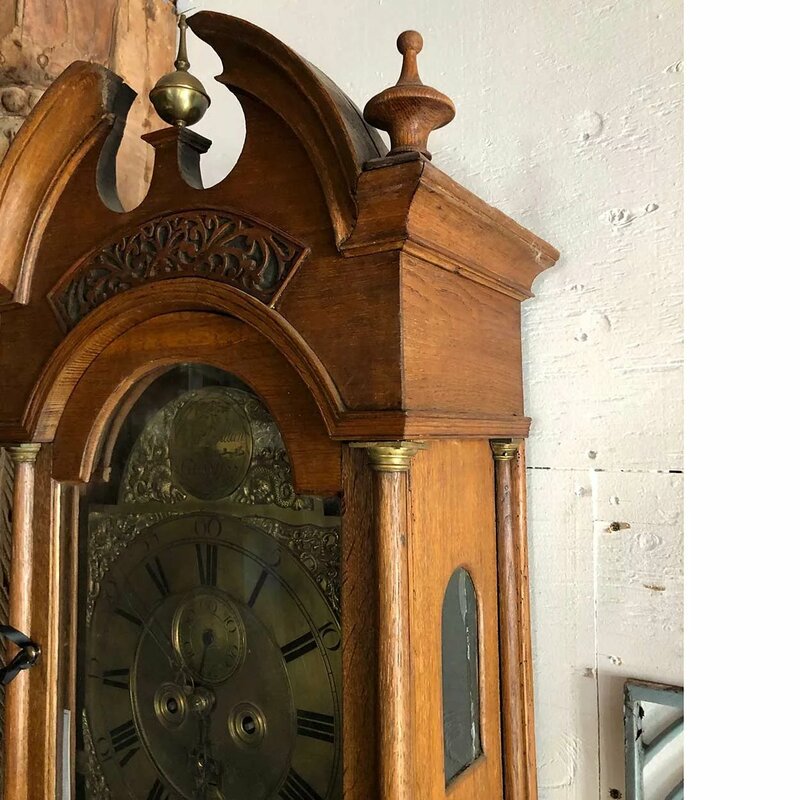 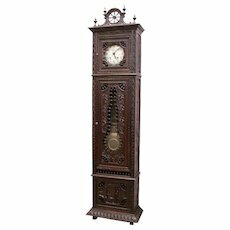 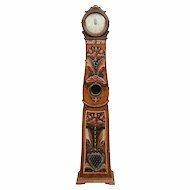 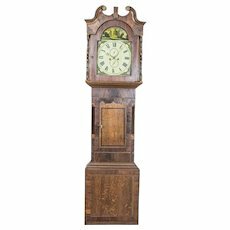 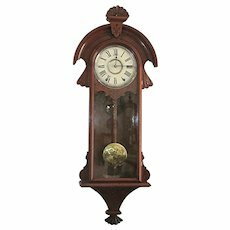 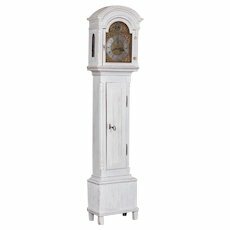 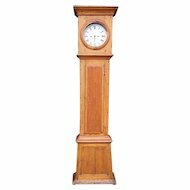 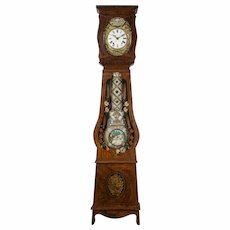 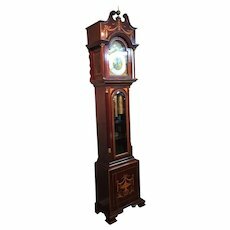 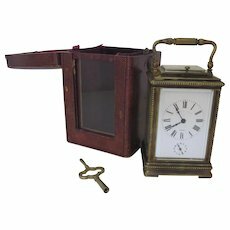 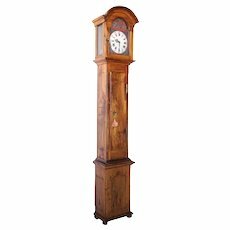 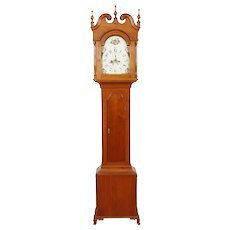 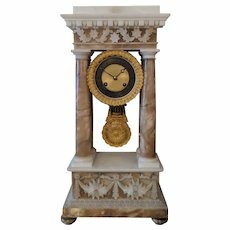 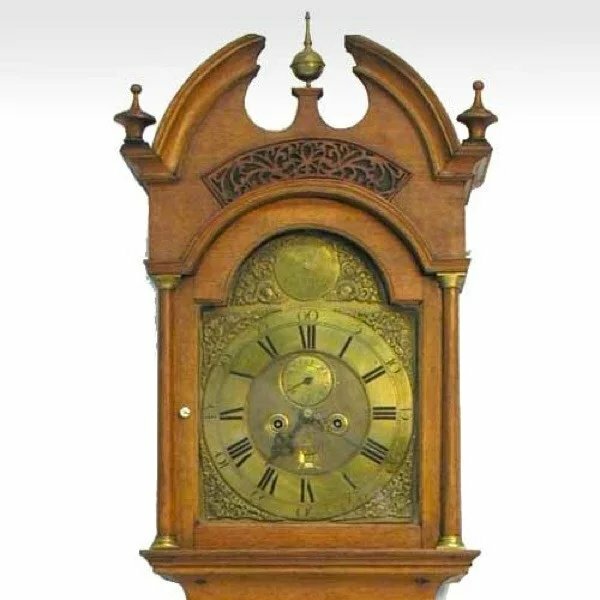 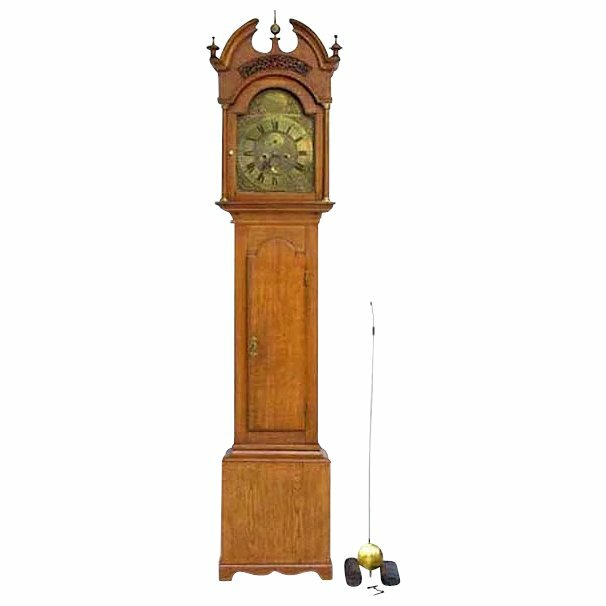 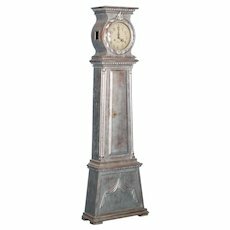 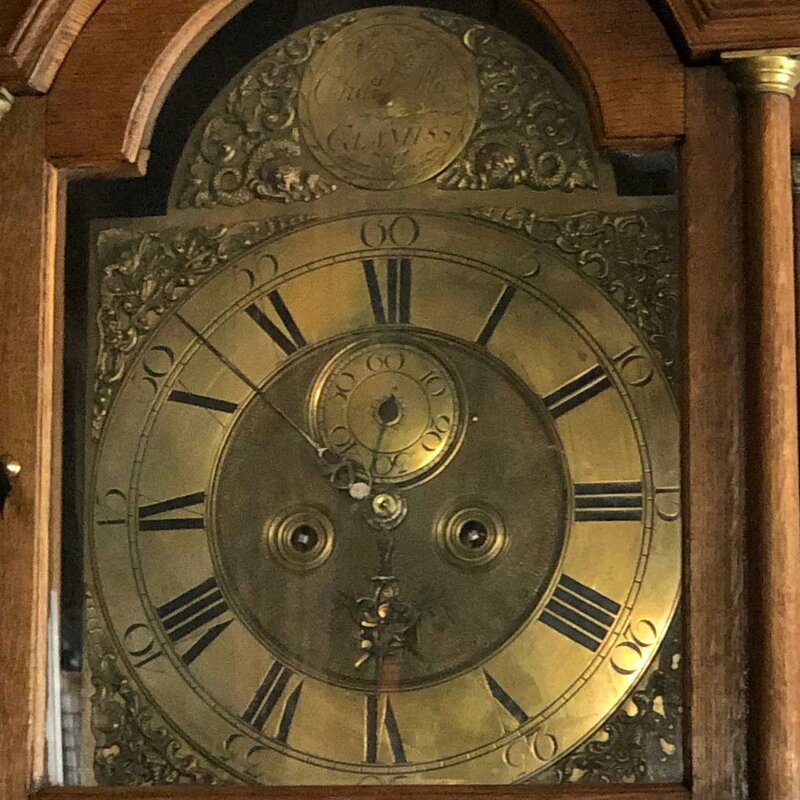 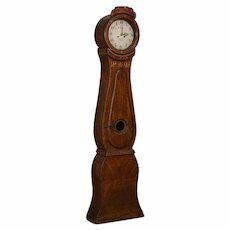 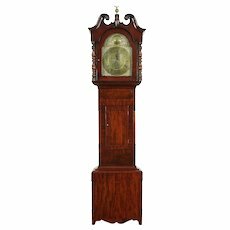 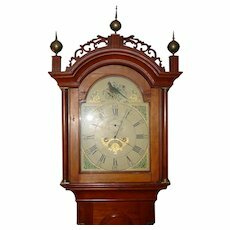 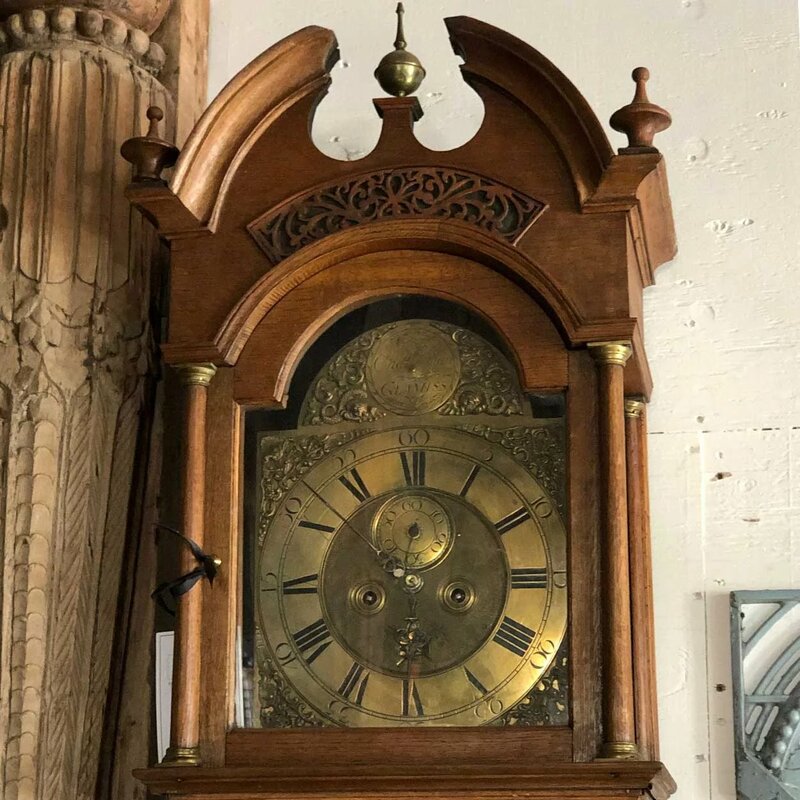 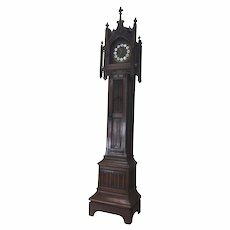 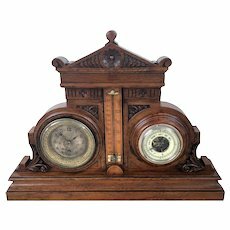 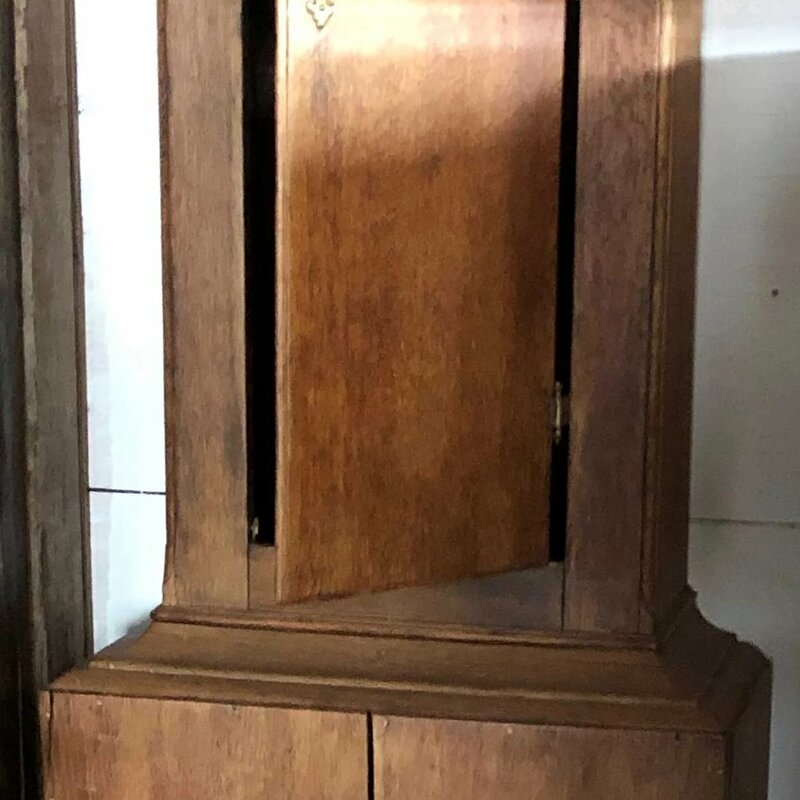 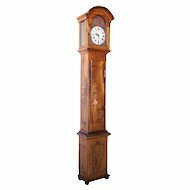 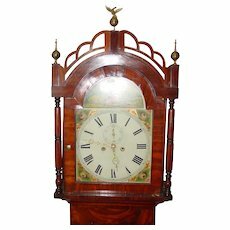 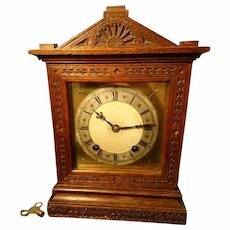 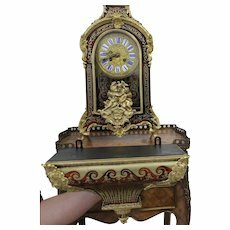 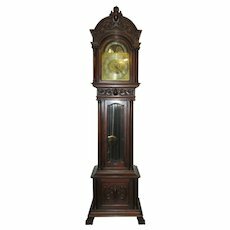 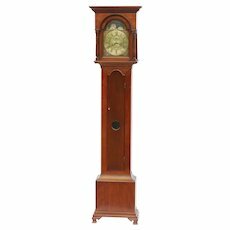 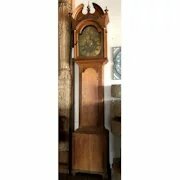 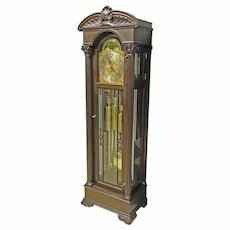 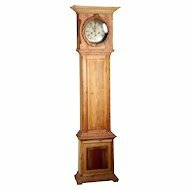 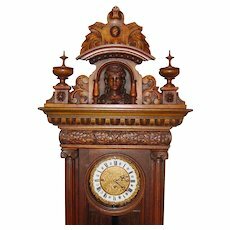 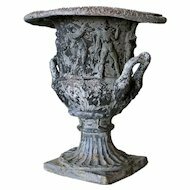 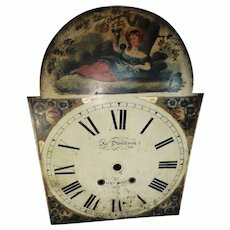 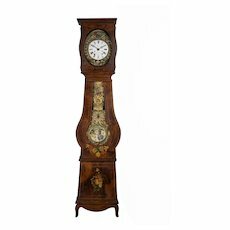 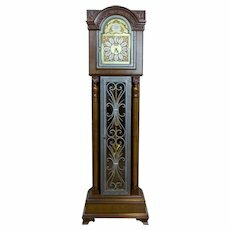 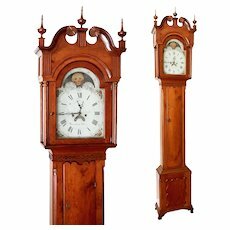 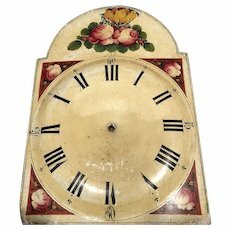 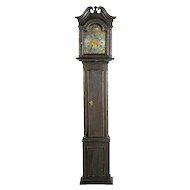 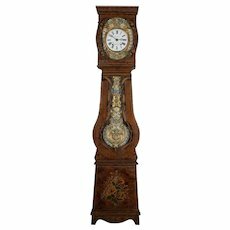 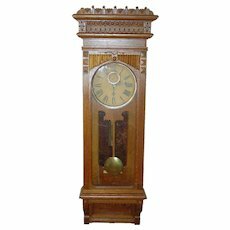 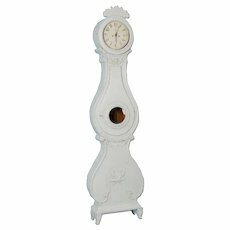 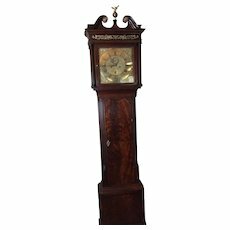 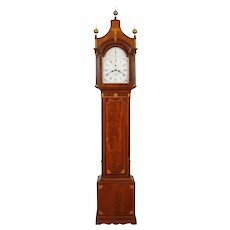 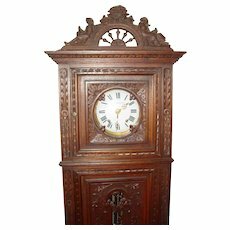 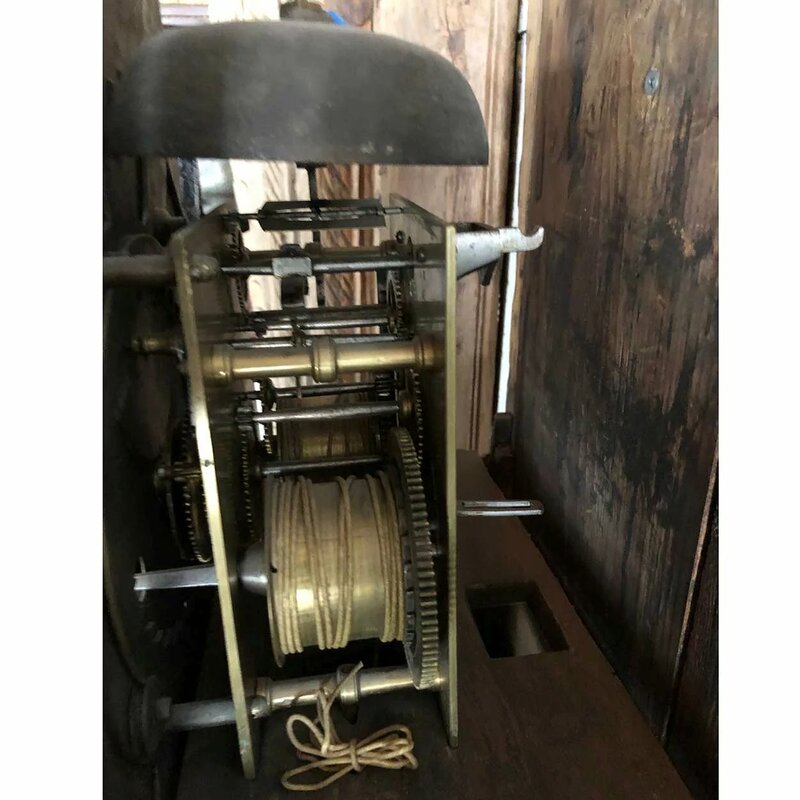 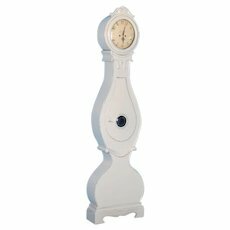 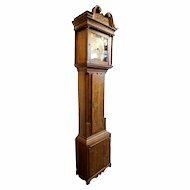 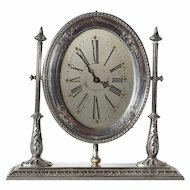 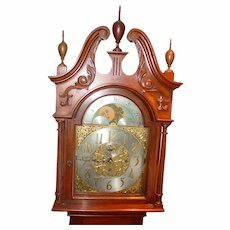 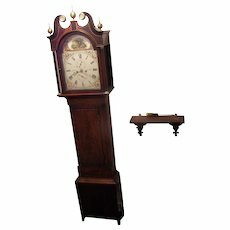 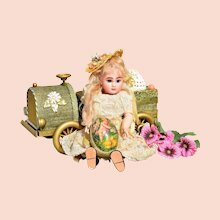 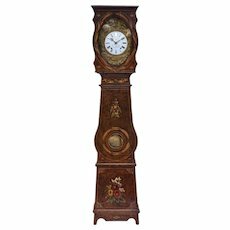 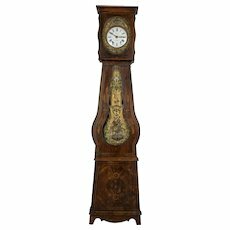 The case of this antique, tall case clock features an arched, broken pediment bonnet with central brass finial and wooden side finials. 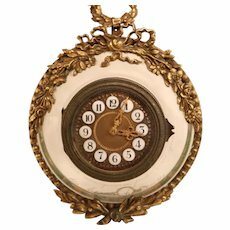 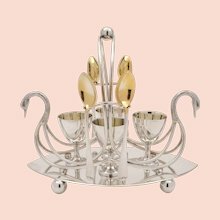 The brass chapter ring is flanked by applied, cast brass spandrels. 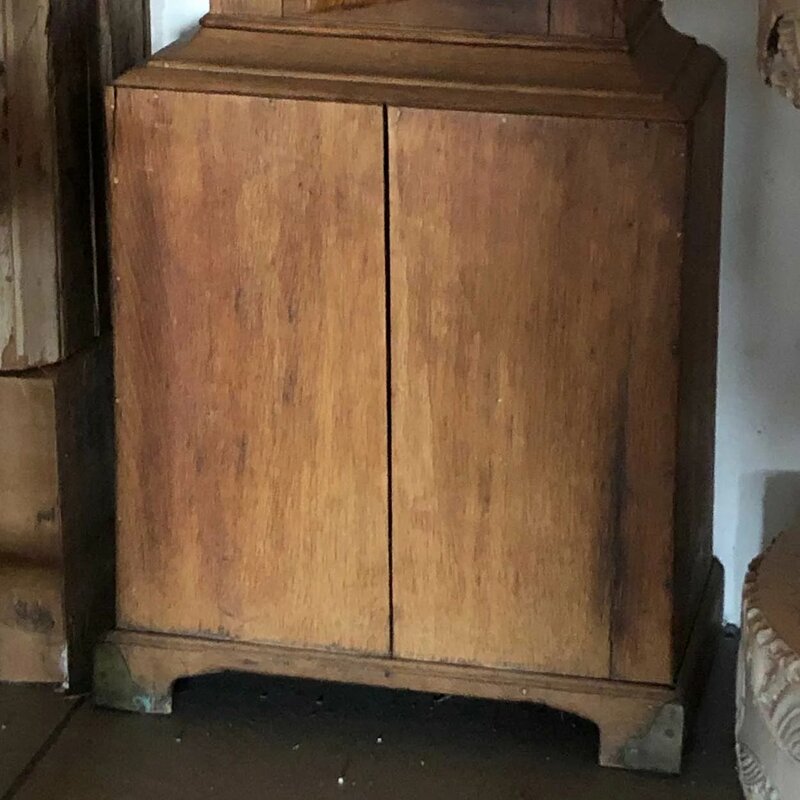 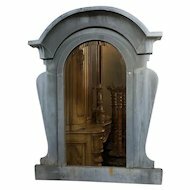 The door is arched and the base has a scalloped apron. 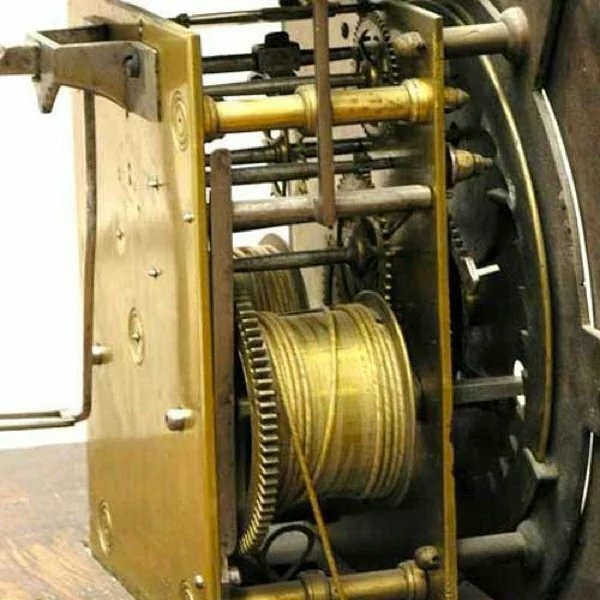 The clock features an eight day movement. 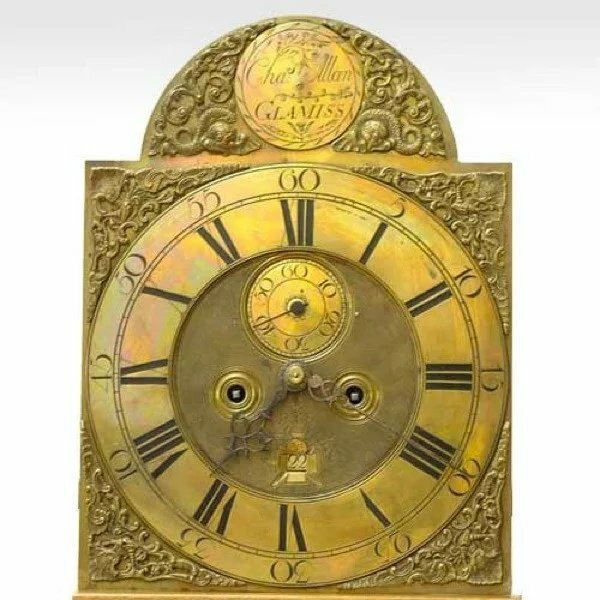 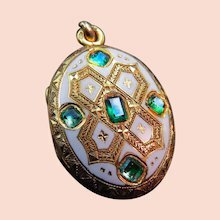 Brass dial medallion: Chas Allan, Glamiss. 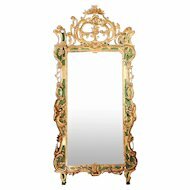 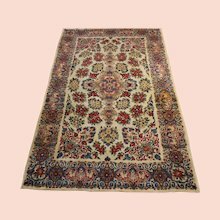 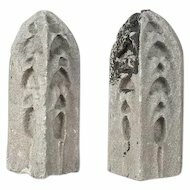 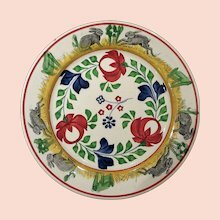 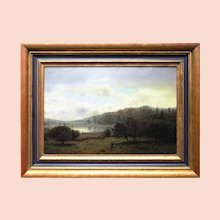 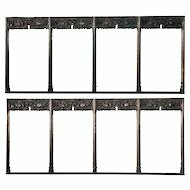 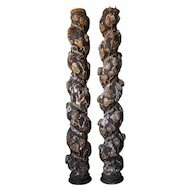 Width 20 Depth 10 Height 87 in. 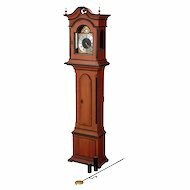 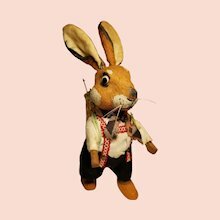 Note: please note that we do not guarantee the functionality of the clock movement.